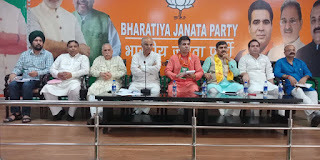 BJP will sweep approaching ULB and Panchayat elections, this was stated by Bharatiya Janata Party State President Ravinder Raina (MLA), while he addressed series of meetings at party headquarter, attended by Prabharis, She-Prabharis, Elections Incharges, District Presidents and other senior BJP leaders. 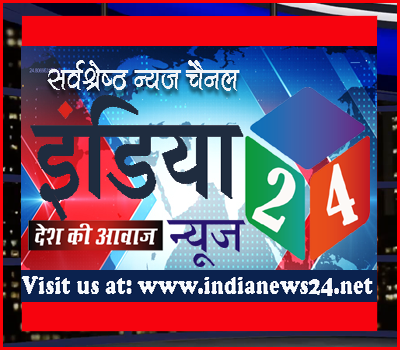 MP (Lok Sabha) Jugal Kishore Sharma, MP (Rajya Sabha) Shamsher Singh Manhas, former Minister Sat Sharma, BJP State General Secretary (Org.) Ashok Kaul, State General Secretaries Dr. Narinder Singh, Yudhvir Sethi, Sunil Sharma also addressed the meetings along with the State President. While addressing the party leaders, BJP State President Ravinder Raina asked the Election Incharges, Prabharis, She-Prabharis, District Presidents and other senior party leaders to ensure the party’s victory in the upcoming Urban Local Body (ULB) and Panchayat elections in Jammu. Raina enumerated various flagship schemes initiated by the Prime Minister Narendra Modi led government at the Centre. He said that the LED bulbs have lighted the houses of millions, Ujjawala scheme has given ray of hope to the countless women across the Nation, Har Ghar Bijli Yojana has enlightened the thousands of villages for the very first time in history, Swacchta Abhiyaan has led to the paradigm shift in the Cleanliness Drive in the Nation, Urban Housing has given shelters to the millions and countless other schemes have changed or influenced the life of all. Raina prompted all the party leaders to vigorously campaign for every single candidate supported by the party and ensure every single seat in the BJP’s kitty. No other political party stands in front of the good works done for the public welfare by BJP, Raina claimed. Jugal Kishore Sharma threw light on the successful completeion on the Monsoon session of the Parliament at Delhi. He also enlightened the BJP leaders of various essential issues brought up in the Parliament. He especially focussed on the passage of OBC, SC/ST Bills and other issues. He said that the unique achievements must be taken to the public, which will benefit the common masses and the party as well. Shamsher Singh Manhas prompted all the party leaders to focus on every minute detail related to the party functioning. He asked all the party workers to reach up to the ground level to attend to the worker needs. Sat Sharma, in his address said that senior party leaders have particular task to put in extra effort to connect to the people and party workers. He also said that this is the doorway to connect to he common masses as well. He said that to work regularly is the key to win.